Mixi the butter, cream cheese, applesauce, brown sugar, and granulated sugar in a mixer until well combined. Add the egg and vanilla and mix. In a separate bowl, combine all the dry ingredients, mixing until well incorporated. I want to take a minute to tell you about my love of fresh nutmeg. I buy the whole nuts then grate them using my grater that's made for just this purpose. I don't love having a lot of specialized gadgets, but this one is an exception. The taste is so much better that it's worth it. Slowly add the dry ingredients to the wet ingredients in the mixer until just combined. Add the bananas and mix again. 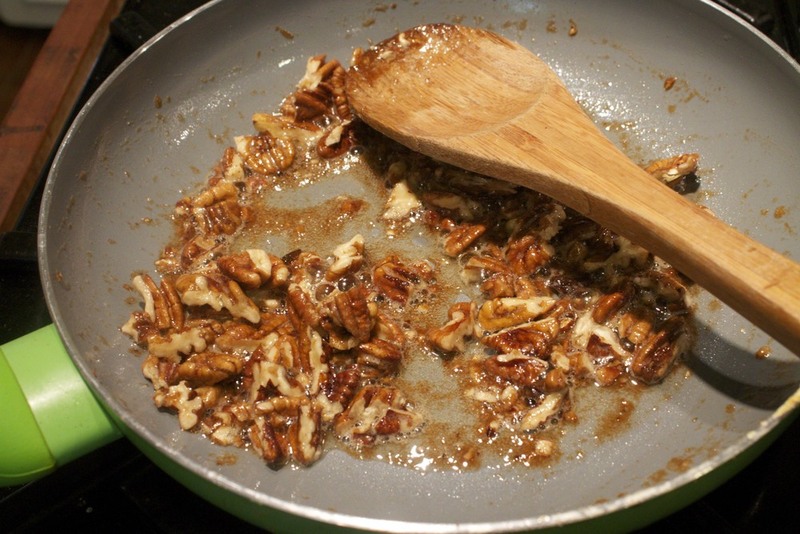 Stir in the pecans and pour into a loaf pan. 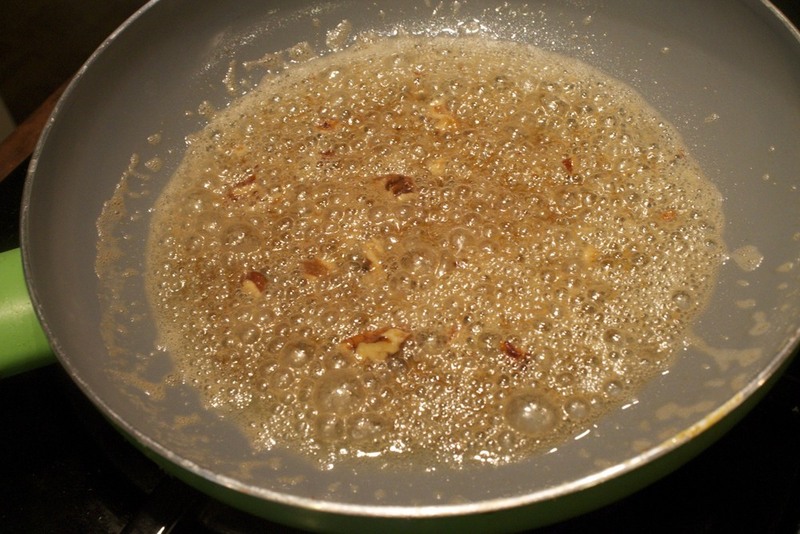 For the topping, melt the butter in a sauce pan and add the brown sugar and spices, cooking until the sugar dissolves. Away from the flame, add the bourbon and stir. return to the heat and cook for a couple of minutes to cook off the alcohol. Add the pecans and toss to coat and cook another minute. 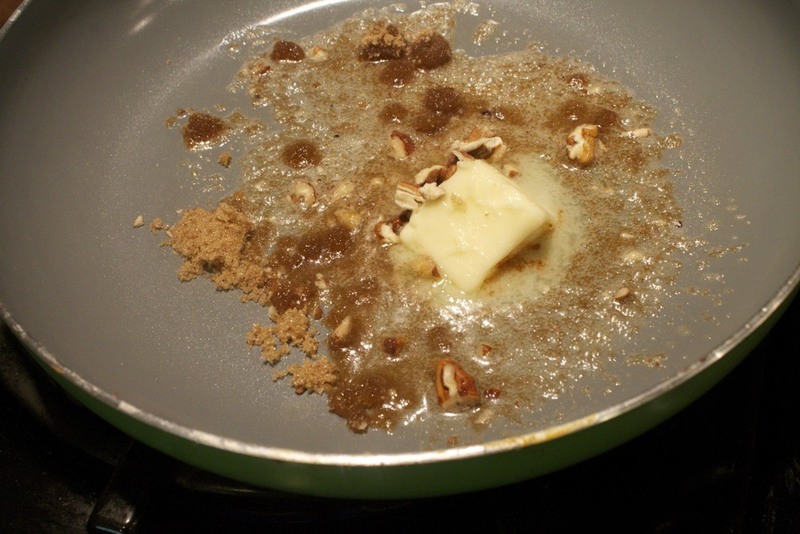 Pour the pecans over the batter in the loaf pan. Remove from pan and let cool on a wire rack. Slice and devour. 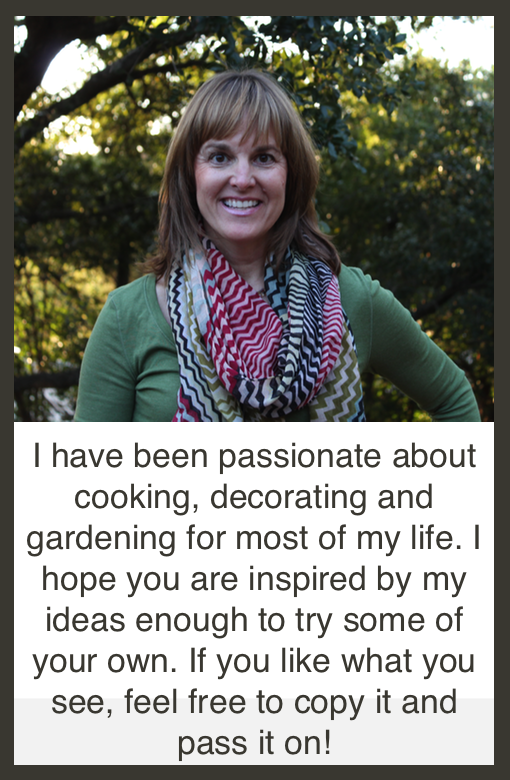 Posted in In The Kitchen and tagged with banana bread, bourbon, bourbon banana bread with bourbon glazed pecans. October 31, 2013 by Lynn Adams.